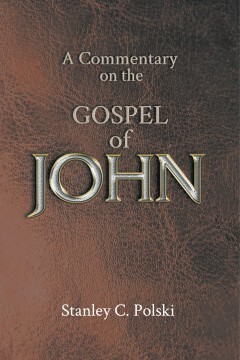 A Commentary on the Gospel of John is an exciting, startling new study by a lay philosopher who may be described as “an uncommon common man.” Though detailed and scholarly, his work is excitingly readable for every seeker of insights. And isn’t that all of us? His writing provides a fresh, provocative, yet reverent look at Jesus as he is revealed through John’s writings and the author’s interpretation. The author quotes the Gospel of John a few verses at a time–and then explores these quotations with a commentary: though deeply religious he manages to relate them to world leaders and politicians against the backdrop of the classic philosophers. Some of his views are outrageous, but he provides a touchstone that believers, seekers, and doubters may use as a basis for their own religious journeys. This is a book valuable for both the secular and religious communities. 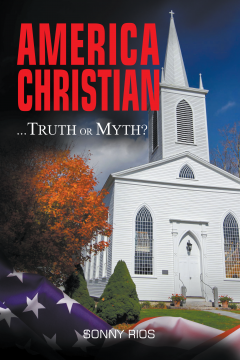 America Christian… Truth Or Myth? Many of America’s early founders talked a big talk about God and Jesus Christ, even in their laws, but their fruit says otherwise. Much research of historical records has been done in order to discover the true religious identity of our country and her Founders. Every act and action had to be weighed with God’s Holy Word so that we could arrive at the answer to the question: America Christian…Truth or Myth? The eye-opening answers in this book will cause both Christians and non-Christians to marvel. During an aortic aneurysm, author Gregory E. Lojacono had a near death experience that was so incredible he had to write about it. In Cobblestones of Hope, Gregory shares with his readers the great amount of love waiting for them in Jesus and the experiences he went through in his life. What the author experienced upon his return was amazing! A big voice said, “It’s not time yet.” He didn’t realize then that he had colon cancer but there was so much to come. Gregory E. Lojacono was an airline pilot. He holds a Bachelor of Science degree from Southern Illinois University at Edwardsville in Mass Communication and Business. He has resided in Belleville, IL area, for the past thirty-three years. He does independent volunteer work in the local area. 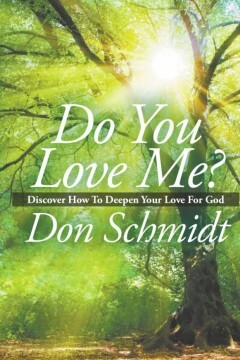 “Do you love me?” Imagine Jesus asking you this question. How would you answer Him? 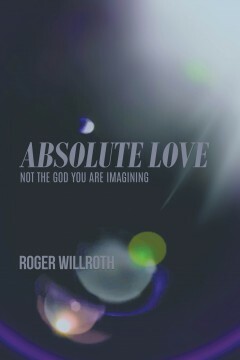 What really constitutes loving God? In the Gospels, Jesus proclaims that loving God is the greatest of all commands. He even asks the Apostle Peter this question three times! But how do we really know what Jesus thinks of what we call ‘loving God’? This book of daily devotions addresses human heart issues that everyone faces, regardless of culture, giving practical illustrations and valuable insights on how we can grow more passionate and genuine in our love for God, bringing joy to His heart. Don was born in St. Joseph, Michigan. He graduated from Michigan State University in 1970 and earned a Masters degree from Wheaton College Graduate School in 1978. Most of his career was in business in NE Ohio but from 2009-2011 Don served as VP of Operations and Director of Student Life at Williamson College in Franklin, TN. There he began writing a devotional blog for Staff and students at the college. He and his wife Donna have 4 wonderful married sons and 10 delightful grandchildren. They reside in NE Ohio and recently celebrated their 48th wedding anniversary. By Francis W. Grubbs Ph.D.
God’s Ultimate Intent seeks to capture the mind of God at the moment He first cried out: “Let us make man in our image, after our likeness: and let him have dominion . . . .” We then follow the strands of unveiled revelation tracing the narrative of protracted God shaped events from creation to procreation as God first realized His Ultimate Intent in the human birth of Jesus Christ. This is a Textbook to guide the Spiritual Formation of a growing developing Christian as he or she realizes the resources provided by God to fuel growth and development for the “inner man” to control the “outer man” and be transformed by the renovation of the mind. 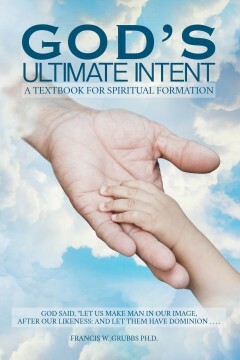 God’s Ultimate Intent for you is demonstrated by the God shaped circumstances by which He draws you to Himself; the conception of a new infant God-child in your spirit—image of its Father, the moment you first embraced Jesus Christ; the transformation of your psyche into the likeness of Jesus as you allowed the renovation of your mind; and the future mystery of resurrection as you are—in an instant, birthed into eternity—in a glorified body. Francis Grubbs, Ph.D. is a Christian Educator with graduate degrees in curriculum development and supervision, and administration. As an educator, he has taught in secondary and higher education and has served as president of three Christian Colleges and a Seminary. His resume includes pastor, educator, executive administrator, author, and consultant. The secret of Dispensationalism has been lost over the years. God’s house law controls the chaos mankind creates. It’s written that the world will get worse. How low can we go? The spirit of rebellion abounds. What has the Lord said about the ages? See what the Bible foretells. How is the end worked out from the beginning? 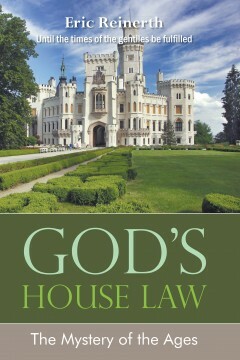 God’s House Law is the fourth book in this series of Bible prophecy. In plain English, author Eric Reinerth sheds light on what the Inspired Word teaches. Can you understand at a deeper level? How does God have a plan? How do I cut through all the controversy? What are Christians watching for? A no non-sense, practical explanation of the message God delivered through the prophets! Go beyond the Christian track. God’s Types and Signs takes one’s understanding to a new level. You must recognize the signs. It’s written that the world will get worse. How low can we go? The spirit of rebellion abounds. See what the Lord has shown us? See what the Bible foretells. What are these types and signs of things to come? 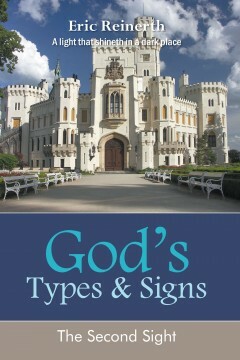 God’s Types and Signs is the fifth book in this series of Bible prophecy. In plain English, author Eric Reinerth sheds light on what the Inspired Word teaches. How is God following a plan? How do I cut through all the crap? Do you question how and why spirit accompanies your life? 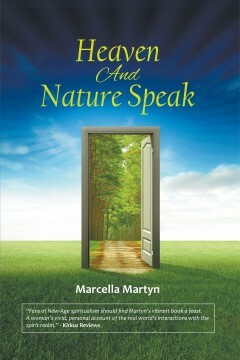 Have you wondered what nature would say if it had words to speak? Do you seek answers about the purpose and meaning of your life? If even one of these messages in Heaven And Nature Speak sparks contemplation that leads to a remembrance of who you are and why you are here, then the purpose of these messages will be fulfilled. More than ever before, we learn about today’s Middle Eastern wars as the animosity between the Arab world and Israel escalates. “Will there ever be peace?” everyone asks. 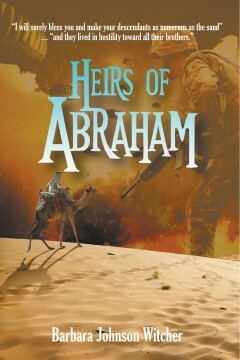 Attempting to answer that question, Heirs of Abraham is a historical family saga stretching over a time span of almost four thousand years. Starting in 1948 when the State of Israel was founded and ending with terror in Jerusalem in modern times, it follows the lives of the Biblical nomad Abraham, who is the foundation of the world’s three great religions – Islam, Judaism and, indirectly, Christianity – and his two sons. There is Ishmael, born of an Egyptian slave whose descendants are today’s Arabs. And there is Isaac, son of Abraham’s beloved wife and the Jews’ patriarch. Set against the backdrops of Ancient Mesopotamia, Egypt and Israel – of wars and famines, goat-haired tents and kings’ palaces – this is the story of real people whose actions will have an everlasting effect on all future generations and worlds. Following faithfully the Holy Bible’s accounting in Genesis, we meet Abraham, who struggles with faith, power, love and cowardice. And his women – Sarah, the wife and Hagar, the slave – whose love for him and hatred for each other never die. Finally, there are the two brothers’ descendants who have been pitted against each other for thousands of years in the age old battle for survival and “the land”.